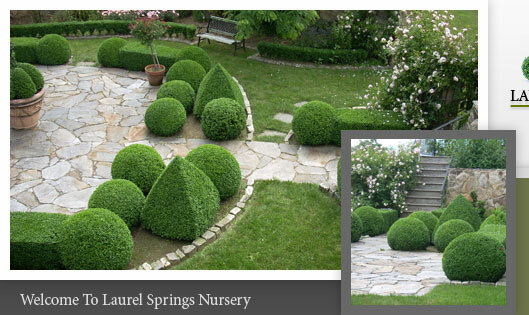 Boxwood, "Man's Oldest Garden Ornament," was introduced to North America from Europe in the mid 1600's. 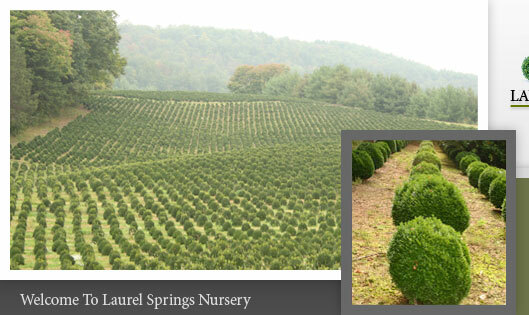 Settlers brought two varieties to the New World: Buxus sempervirens (American Boxwood) and Buxus sempervirens 'Suffruticosa', (English Boxwood. 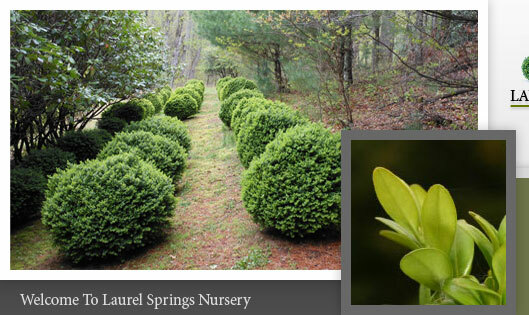 Boxwood reached its peak in popularity in the United States during the early 19th century and again during the Colonial Revival era. To this day, they have remained the most popular varieties used by American gardeners. 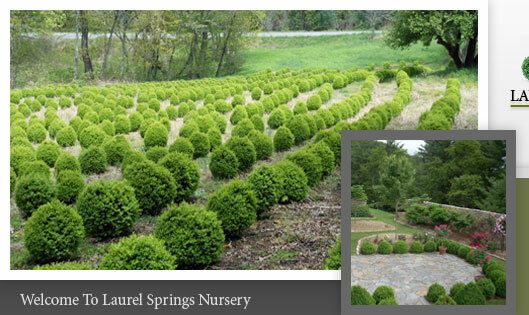 Laurel Springs is a North Carolina Nursery featuring Boxwood Shrubs for Sale and a selection of Wholesale Topiary. 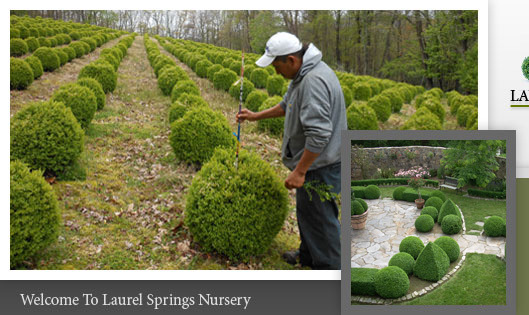 As Boxwood Growers and Wholesale Topiary Growers, we take pride in the quality of our plants. 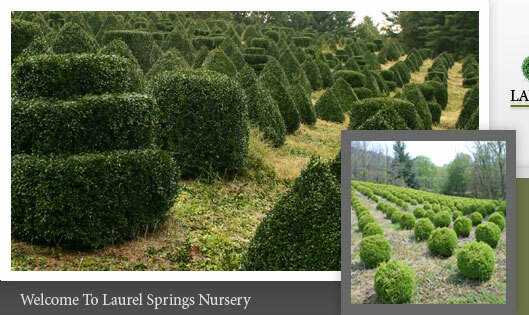 We have approximately 58,000 various sizes under cultivation. If you would like more information, please contact us at 800-851-2345 or 336-372-4193, email us, or use our online request form. 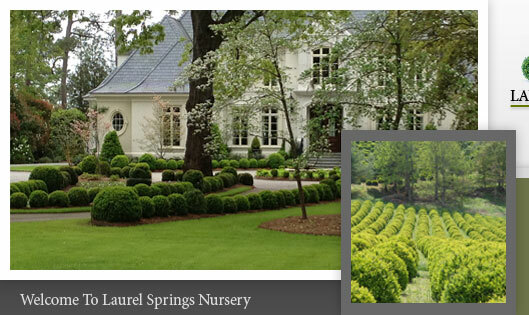 We are currently sold out of American Boxwood this season. We should have more ready by next season. 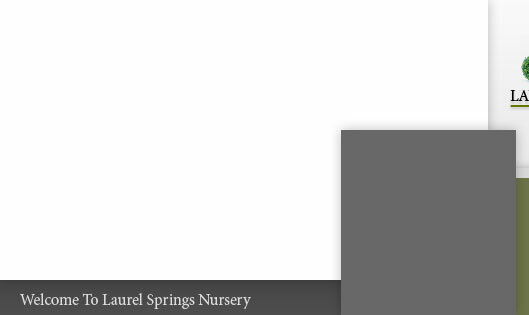 Copyright © 2009 Laurel Springs Nursery. 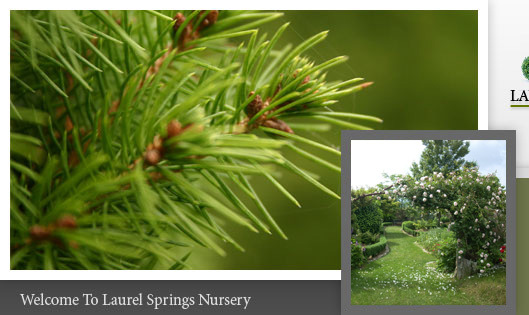 North Carolina Web Design by AppNet.com.